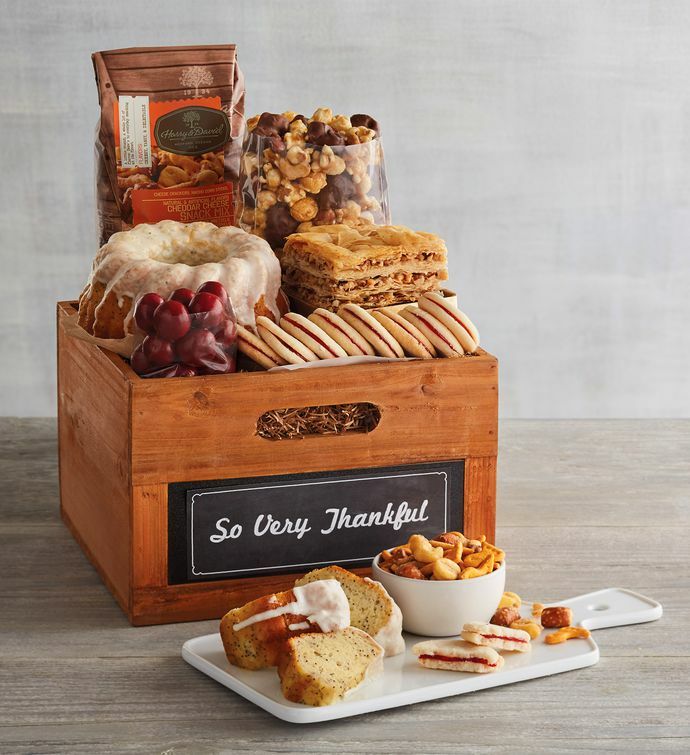 Express your gratitude for someone who's gone above and beyond with a thoughtful delivery of gourmet goodies. Amongst the treats are chocolate-covered cherries, raspberry galettes, baklava, Moose Munch® Premium Popcorn, and more. This wooden basket features a reusable chalkboard front bearing the message "So Very Thankful."